When I was ill my health declined because I wasn’t interested in food. I was tired, lethargic, lacked strength, and just didn’t feel ‘right.’ I made the sauce for myself first and could see the difference – my energy changed, my eyes were brighter, my memory better, my muscles stronger – and I had lots of energy...In addition, I was able to enjoy my meals even during my chemo treatments. Makossa sauce is nothing but beneficial. Has no sugar, colouring or preservatives. It's also vegan and gluten free. The sauces are made from an authentic, original recipe, using only the freshest Scotch bonnet chillies to create a healthy hot sauce. If you have my chilli sauce, plus some basic ingredients, you can make an exciting, healthy meal every day. Makossa is a Cameroonian popular music originating from the Kossa dance of the Douala people, and means ‘I dance’ in their language. As a Cameroonian professional dancer and choreographer, it’s a rhythm that touches my heart and which accompanied me and made me smile during the most difficult days of my cancer treatment. I always found myself dancing no matter how bad a day was. For me, the music and dance of the Makossa is about taking charge, being happy and aware of your body, enjoying and feeling the nuances of the rhythms, and choosing to move on, or within, its rhythm. I decided to make ‘Makossa’ the name of my brand. My sauce connects rhythm and taste, the bursts of flavour are like a combination of moves. The unique texture and flavour, blends well with a variety of dishes and it can be used as condiment, garnish or dip. 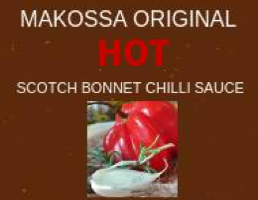 The 3 varieties of Makossa chilli sauce reflect the different styles, music and rhythms of the dance. 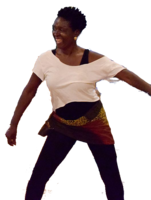 The MAKOSSA dance is graceful with short bursts of confidence and energy. BIKUTSI uses the whole foot in traditional, stamping moves & chest movements. - And that’s the name of my peanut-based chilli sauce - because it’s hearty and from the ground. I grew up in the Cameroon, which is ‘Africa in miniature’ because it contains all the climates, vegetation and features of the continent within its borders. Its rich soil is perfect for growing chillies. I am a dancer. I learnt ballet and modern as a child then created my own style, using the traditional Makossa dance to pioneer a mixture of African and contemporary dance. My dance company performed in provinces across Cameroon and France before coming to England at the invitation of the Arts Council. 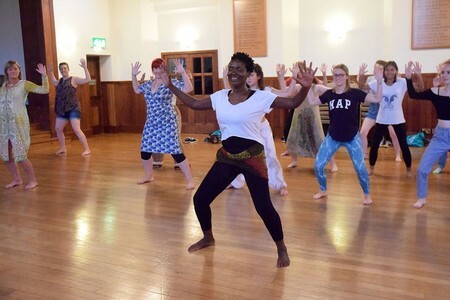 In Bristol, I lead wellness workshops and body awareness movements/dance sessions – called ‘Move for better health’ – to help people improve their physical and mental well-being. I first did these sessions at Frenchay hospital, after I was treated for breast cancer, at the age of 31. A physiotherapist had given me exercises, as they do for every woman who has had a mastectomy. As a professional dancer I knew they were important, but I couldn’t do them, they were boring and I felt so unwell. Then I realised; you have to have fun! So I created a dance piece based on the exercises, using African dance techniques. I wanted to help other women who had breast cancer and became a volunteer dance therapist. Our cancer patients group performed in schools and on TV. When someone explores their body’s natural ability to move, they become aware of every part of their body. There’s a difference between exercising and moving where the focus on the whole body and keeping it in motion to improve overall health. Me leading a group of women learning to 'kossa' - and having fun! Support us by contributing £10 to our project, and receive a voucher for a free tea or coffee and a cake and a taster of our innovative spicy smoothie in a cafe. 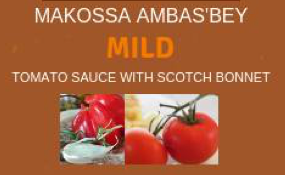 Grace's recipe with MAKOSSA Original. We will also be tweeting a personalised e-card to say "Thank You" from our twitter account. 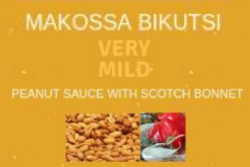 Support us by contributing £5 to our project and pick up your favourite MAKOSSA sauce flavour at one of our local independent cafes partners. Experience the 3 flavours! We will also sent you a digital original recipe booklet & an e-card to say thank you.